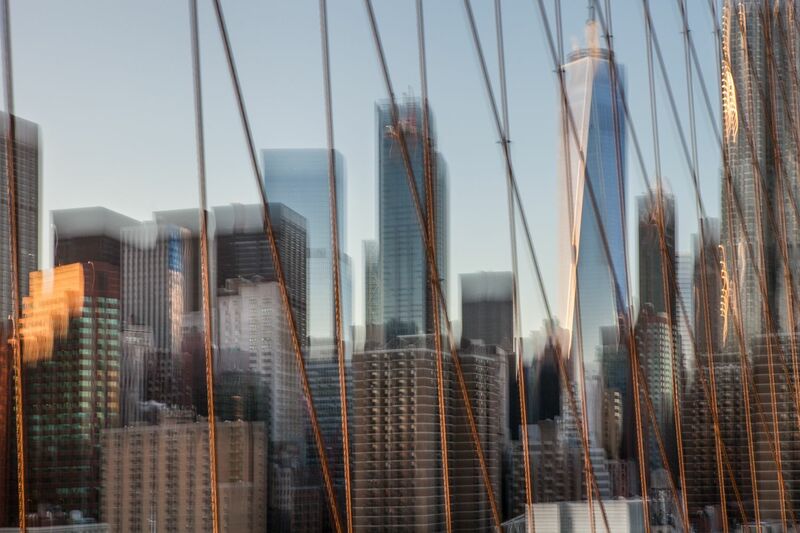 New York Dream 04 is a photograph by contemporary artist Xavier Dumoulin taken from the series «New York Dream». In this series, this nature lover confronts, somewhere between fascination and dread, the skyscraper jungle of this American megacity, "The city that doesn't sleep" with its ever-changing face, that generations of photographers before him have tried to capture. Xavier Dumoulin has taken this photograph of the skyscrapers of lower Manhattan from the Brooklyn Bridge. They appear to rise up between the copper suspender cables of the bridge.